Rehabilitating a building to bring it into compliance with anti-seismic standards? The belting method for buildings is already known in some countries. But in Nepal – to our knowledge – it had never been used. Until our association decided to use it. In 2015, after the terrible earthquake that devastated parts of Nepal, causing considérable damage, we raised funds from people who had been moved, here in Switzerland, by the disaster. An amount of CHF 11,185 (2015 earthquake donations), supplemented by a donation from a generous donor family in Switzerland, was allocated to this rehabilitation. A Swiss architect, commissioned by the président of the Swiss Sagarmatha Organization, worked on the project to reinforce the old building of the Sagarmatha Center, which had been shaken and cracked by the tremors. Vertically, the building had held and the foundations were not deteriorating. But in order to prevent a possible collapse of the building in the event of a new strong earthquake, we opted for a belt. An outer belt -made of interconnected metal beams- was placed around the building at the floor level of each level. An inner belt was installed and attached to the outer belt and to the floors. This binding and laying of belts compress the walls together and hold the building pressurized by the floors. The work, supplemented by masonry and painting, was completed in early 2017. 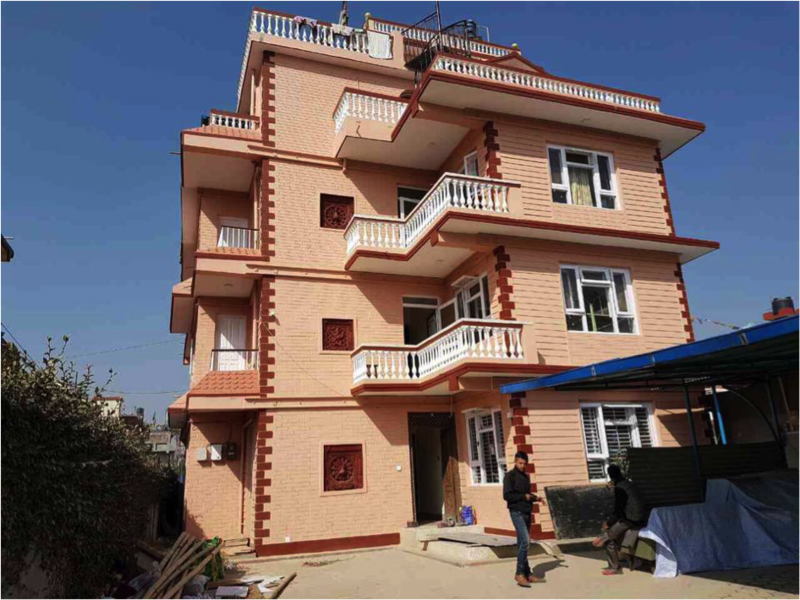 This renovation certainly required significant financial resources compared to the limited means usually available in Nepal for this type of renovation. But this investment seemed justified to ensure the safety of the children and staff of the Sagarmatha Center in the years to come, with the knowledge that a new strong earthquake can never be ruled out in this part of the world. Hence, the building can now withstand any potential new earthquakes of up to 8 on the Richter scale.